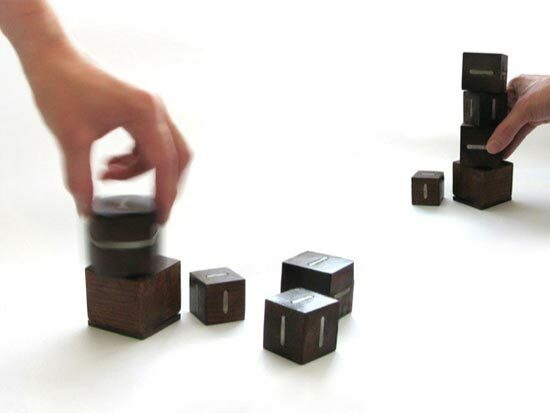 Here’s something very cool, a set of wooden blocks that play music, control the volume and switch tracks on your iPod or stereo. The Music Blocks features a central control block, which is the base block, the base block is the only block which houses an electronics, the rest are made from hardwood with built in tin conductors. To increase the music volume you just add more blocks to the stack, if you want to change tracks you just twist one of the blocks. Here’s a video of these funky Music Blocks in action. Head on over to the Music Blocks website for more details on these fun wooden blocks.